(Toronto, Ont.) Paralympic gold medallist Brandon Wagner is set to carry the Parapan Am flame in his hometown of Burlington, Ont. 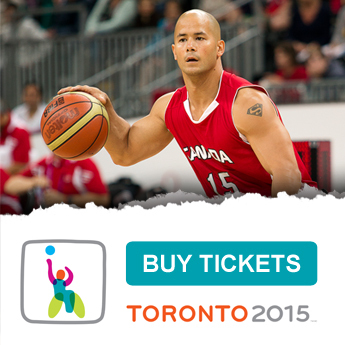 on August 5 as part of the Toronto 2015 Parapan Am Games Torch Relay. 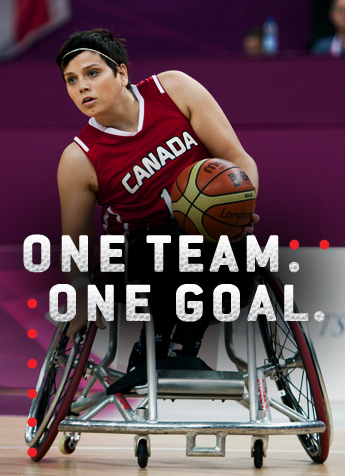 Wagner captured the Paralympic gold medal as a member of the Canadian Senior Men’s National Wheelchair Basketball Team at the London 2012 Paralympic Games. He also won silver and bronze medals with Team Canada at the Parapan Am Games in 2007 and 2011, respectively. The TORONTO 2015 Parapan Am Games Torch Relay, presented by President’s Choice® and OLG, is just around the corner as Toronto gears up to host the largest Parapan Am Games ever. A first in torch relay history, two separate flames — one in the east and one in the west — will be lit on August 3 during special ceremonies in Ottawa, Ontario, and Niagara Falls, Ontario. The Parapan Am flames will then visit 12 communities and unite in Toronto before travelling to the Opening Ceremony for the TORONTO 2015 Parapan Am Games on August 7 at the CIBC Pan Am/Parapan Am Athletics Stadium. Chelsea Lariviere (@kayakwoman83) — in Ottawa, ON, on August 3 — Paralympic silver medallist, track and field. Dwight Drummond (@dwightdrummond) — in Niagara Falls, ON, on August 3 — co-host, CBC News Toronto. Derek Smith (@dasmitty24) — in Belleville, ON, on August 4 — NHL player, Arizona Coyotes. 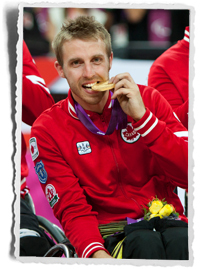 Joe Boudreau — in Hamilton, ON, on August 4 — wheelchair rugby athlete. Brandon Wagner (@BWAGG) — in Burlington, ON, on August 5 — Paralympic gold medallist and Parapan Am multi-medallist, wheelchair basketball. Nydia Langill (@NLangill) — in Mississauga, ON, on August 5 — Team Canada athlete, para-swimming. Alex Norman (@mralexnorman) — in Mississauga, ON, on August 5 — lead singer, IllScarlett. Glenn Healy — in Ajax, ON, on August 6 — former NHL player with the Toronto Maple Leafs. Patrick Jarvis — in Ajax, ON, on August 6 — Paralympian, athletics, and former president of the Canadian Paralympic Committee and current board member of the International Paralympic Committee. Billy Bridges (@BillBridges18) — in Toronto, ON, on August 6 — Paralympic multi-medallist, ice sledge hockey. Sami Jo Small (@SamiJoSmall) — in Toronto, ON, on August 6 — three-time Olympian and Olympic multi-medallist, ice hockey. Chelsey Gotell (@ChelsGotell) — in Toronto, ON, on August 6 — three-time Paralympian and Paralympic and Parapan Am multi-medallist, swimming. Elisabeth Walker-Young (@elisabethwy) — in Toronto, ON, on August 6 — four-time Paralympian and multi-medallist, swimming, and chef de mission for the TORONTO 2015 Parapan Am Games. Stephanie Dixon — in Toronto, ON, on August 7 — three-time Paralympian and multi-medallist, swimming, and assistant chef de mission for the TORONTO 2015 Parapan Am Games (selected by CIBC). The Parapan Am flame will visit 12 communities — Ajax, Belleville, Burlington, Hamilton, Kingston, Mississauga, Niagara Falls, Oshawa, Ottawa, St. Catharines, Toronto, Whitby — travelling more than 700 kilometres. The Parapan Am flame will be carried by more than 250 torchbearers who will each complete, on average, a 200-metre relay segment. Canadians are encouraged to join the community celebrations leading up to the dramatic lighting of the Parapan Am cauldron at the Opening Ceremony for the Parapan Am Games in Toronto on August 7. To learn more about the Parapan Am Games Torch Relay and the community celebrations, visit TORONTO2015.org/torch-relay. The TORONTO 2015 Parapan Am Games Torch Relay is presented by President’s Choice® and OLG, supported by community partner CIBC and signature supporters Star Media Group and Metroland Media, Ontario Trillium Foundation and Porter Airlines, and funding parties the Government of Canada and the Province of Ontario. The torch relay will invite communities to celebrate and share the Parapan Am spirit throughout its five-day journey towards Toronto, the Host City of the Games. The torch relay starts August 3, 2015, and concludes August 7, 2015, with the dramatic lighting of the cauldron at the Opening Ceremony in Toronto. To learn more about the torch relay and when the Parapan Am flame will visit a community near you, visit TORONTO2015.org/torch-relay or download the official TORONTO 2015 Pan Am/Parapan Am Games app, presented by CIBC.